One of the biggest advantages of designing and building your custom home with custom home builders Blowing Rock NC is that you have complete control over planning and designing every aspect of your home. It is empowering to know that you will have complete control over every detail of your home. 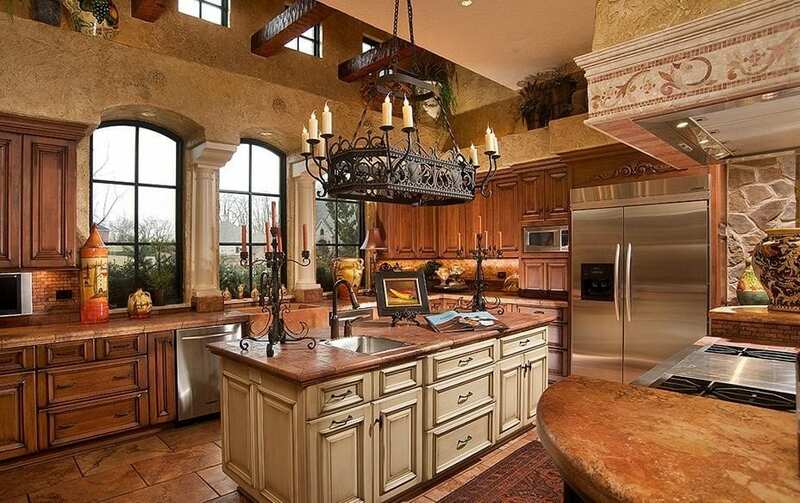 One of the most important areas of your home, that should get a lot of attention, is your kitchen. The kitchen is the heart of the home, where family gathers to share meals and spend time cooking together. If you are designing your custom home, your kitchen is an area where you are going to want to spend a lot of time thinking about how you can get the most out of the space. Here are three things to keep in mind when you are designing your custom kitchen! Because you are building a custom home, you don’t have to incorporate everything on this list, these are just a few ideas to get you thinking! Even if you are wanting a clean, open look in your kitchen you are going to want/need a decent amount of counter space. If you have the best appliances, without adequate counter space to prepare delicious meals, you are not going to want to use your kitchen. By designing a custom kitchen, you’ll be able to design a space that is open and has adequate counter space to create delectable dishes to share and enjoy with your friends and family! Every cook will tell you that having storage is very important. When selecting cabinets for your kitchen, be sure that they not only look good and will complement your space, but that they also provide great functionality. Having cabinets that provide storage space for your kitchen appliance, utensils and food, can be the deciding factor of making or breaking your kitchen. The ultimate finishing touch to a custom kitchen is the appliances that you select. Whether you elect for a built-in double oven that provides you the ability to cook more food at once or you’re going to splurge and purchase the full range that you’ve always wanted, whatever you choose your appliances will really work to bring your kitchen together. Design the kitchen of your dreams, but take some time thinking about what you’d like to see! When you build your home with custom home builders Blowing Rock NC, you can get a fully customized kitchen to meet your exact specifications. Don’t settle for a less than perfect kitchen, when you can have the kitchen that you’ve always dreamed of with Fairbanks Homebuilders! ← What is the Process of Building a Home?